This August, we've partnered with Atlas Roofing Corporation to put together a special seminar for West Michigan contractors! Build Your Brand with Stan features Atlas Director of Marketing Stan Bastek sharing best practices that will help professional contractors differentiate their company and win more business. Leading up to the event, we interviewed Stan on a variety of topics ranging from shingle technology to social media. 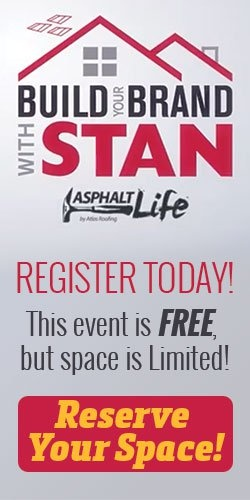 Take a look below for a sample of the knowledge Stan will share with contractors on August 24th at Wimsatt Grand Rapids! Wimsatt: Atlas shingles have Scotchgard Protector from 3M, something that not a lot of other shingle manufacturers can claim. How does it protect roofs from algae and why is that important? Stan: Atlas has an exclusive partnership with 3M on the Scotchgard Protector brand and formulation, something that provides the homeowner with a Lifetime warranty against ugly black streaks and stains caused by algae on the roof. This Scotchgard Protector technology has been perfected by 3M for over 25 years, lending credence to the high value people place on that brand as the most effective protector. Atlas is required to evenly distribute 3M’s copper roofing granules across the exposed areas of the shingle, including the hip & ridge. Our shingles are both internally and independently audited daily to ensure we are putting the right amount of copper roofing granules across the entire exposed area of the shingle. The copper granules act as a time release capsule, letting the right amount of copper out of the ceramic coated granule slowly over the life of the shingle. Copper ions that are released from the granules prevent algae from getting started on the roof, thus keeping the roof looking clean! Scotchgard is proven technology from a company that people know in trust in 3M. Wimsatt: SBS shingles are often marketed to southern and coastal markets for their impact resistance. Hail and wind aren’t as big of a story here in Michigan; why would a homeowner in the Midwest want to invest in an SBS shingle? 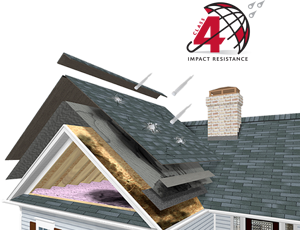 Stan: Shingles built with SBS modified asphalt are often closely associated with southern markets because they pass the UL2218 Class 4 impact rating, helping these shingles stand up to hail. However, SBS asphalt is a huge benefit in Northern climates like Michigan and Ohio (where hail is not as prevalent) because of the way that it responds to thermal shock. Modified polymers hold the granules better in both extreme heat and cold, which results in a shingle that will perform better through long winters and hot summers. Thermal shock is how we describe the expansion and contraction that occurs when asphalt is exposed to dramatic changes in temperature over the months and years of its useful life cycle. Better granule adhesion through this thermal shock means a shingle that will last longer and perform better, all things being equal. Additionally, shingles built with SBS modified asphalt are significantly easier to handle and install in cold weather. Because SBS is a flexible polymer, StormMaster shingles can bend and cut without cracking or excessive granule loss when temperatures drop in fall and winter months. Always be cognizant that playability and flex does not translate to sealant activation, as warmer roof temperatures are always needed for the shingle sealant to activate. Shingle Size: Is Bigger Better? Wimsatt: Atlas recently converted Pinnacle Pristine and StormMaster Shake shingles to a new larger size, marketed as “built with HP42” technology. What are the advantages of this new size for roofing contractors? Stan: Contractors are always looking for ways to be more efficient and save money. HP42 accomplishes both of these needs with both tangible materials savings and installation guidelines. HP42 translates into a larger shingle size in both width and exposure, resulting in fewer shingles to install per square. On average, contractors will install 8 fewer shingles per square when compared to other leading shingle brands, something that will save anywhere between 2-4 labor hours per job. Imagine being able to do 1 extra job per week, simply because we designed a larger shingle! In addition, Atlas created a product with a 6” exposure, and a 6” offset, leading a faster installation that creates less waste. With Atlas, you get a “Zero Waste” offset, requiring 3 simple cuts of 6”, 12” and 18” in the first 4 courses where the excess material is re-used for courses 5-7. Installers end up running down the roof with 7 courses as opposed to 4 meaning they have nearly double the roof covered before having to reset the offsets. Finally, the HP42 design has 2 Fastac sealant lines and Atlas only requires 4-nails for a high wind 130 mph wind warranty installation, compared to 6-nails from most leading shingle brands. That is a savings of nearly a box of nails per job for high-wind speed applications! Wimsatt: In the last year you’ve given your Build Your Brand with Stan seminar to contractors across the country. On Friday, August 24 you’re coming to our Grand Rapids location to deliver it to West Michigan roofing contractors. What can attendees expect to walk away with at the end of the seminar? Stan: Atlas believes that the best way to build a strong, sustainable company is to “Build Your Brand” with modern approaches to addressing common sense consumer demands. Contractors will certainly hear about product innovations and ways that Atlas shingles can help them sell more roofs and be more efficient. However, much of my discussion with attendees will revolve around branding, marketing, and the “Power of Differentiation.” We will share best practices on ways to affect your business in a positive way before, during, and after the job. We will discuss pre-call strategies, job-site branding, websites, social media, testimonials, and video. We will also open things up to hear from attendees about their needs so that Atlas can leave West Michigan with a greater sense of purpose on how we can evolve our marketing efforts to fit the needs of their businesses. This seminar is all about how to collectively build a stronger, more respected industry by focusing on building strong local brands. 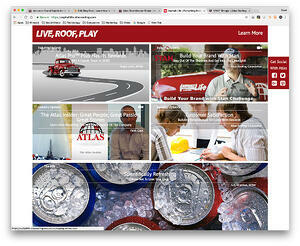 Wimsatt: In an industry where many manufacturers still haven’t embraced social media or blogging, Atlas has put a lot of effort into the Asphalt Life blog site with tons of content. Why would a roofing contractor want to connect with Asphalt Life? Stan: Content marketing and social media are powerful and important tools to having a well rounded marketing strategy. They are arguably much more important for local businesses than they are for large building materials manufacturers. Your content and social media set expectations about what potential customers can expect from your organization. It is a living representation of your culture. That can be challenging for many companies, particularly those that have trouble clearly defining their culture. Asphalt Life was designed to try and push our contractors over the tipping point by creating ready made content for their use to start trying things out that they otherwise ignore. You cannot take a passive approach to marketing and expect great results just because you hired someone else to do it for you. Business owners need to get their hands dirty with marketing expense and effort so they can hold their SEO, agency, web developers, and staffers accountable for the money they are spending. 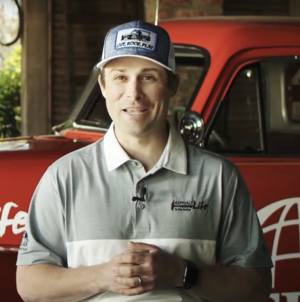 Getting engaged with “Build Your Brand” challenges, attending AsphaltLife webinars, and reading/sharing Asphalt Life content is a way to challenge contractors with activities and perspectives that they may not be getting on their own. Best of all, it is all FREE, an ongoing resource of ready made content, guest speakers, videos, infographics, blog posts, and social media ideas that can be personalized for a local brand. Plus, who doesn’t like to LIVE, ROOF ,PLAY? Stan Bastek has been with Atlas for 12 years, having spent many of those years in sales management roles across the country. Stan has a passion for working directly with contractors and expanding his knowledge base to share best practices across the industry. He also has a deep connection to the state of Michigan, having lived in Grand Haven and Spring Lake as a youth and then attending the University of Michigan for undergrad. Stan has Atlas Pinnacle Pristine with Scotchgard shingles on his home in Hearthstone Gray. Interesting in attending Build Your Brand with Stan this August? This seminar is FREE but space is limited... RSVP today! You're Invited to our 28th St Metro Cruise Customer Appreciation BBQ! Stick around after the seminar, as Wimsatt Grand Rapids is holding our annual 28th Street Metro Cruise Customer Appreciation BBQ on Friday 8/24 & Saturday 8/25. This year's festivities are sponsored by Atlas Roofing Corporation. It's the ultimate family-friendly event for car buff contractors! Check out the event site to learn more! Next Deep Inventories Back Up Our Service Promises.